Lauren's Boookshelf: September 2018 Book Haul! It's that time of month again! We're back with my book haul for the month of September. I got a total of 20 books this month, of which 18 were physical books. I'm actually a bit surprised with the number of books I got this month considering I didn't spend very much money on books. I only purchased 9 of these myself and the rest I used gift cards on, were sent to me, or were gifts! I'm pretty pleased with my haul this month but am so much more excited for what's coming in October! The first 5 books I got this month were birthday presents from my grandma that she had sent to my school. 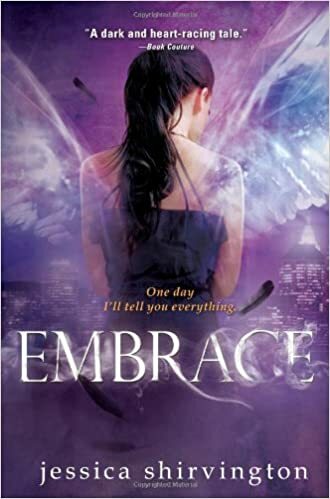 The first of these was Embrace by Jessica Shirvington. 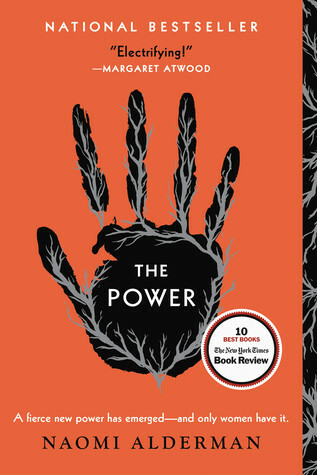 My first experience with this book was when someone posted about it on Instagram with a little 4-line excerpt that immediately sold me on needing to read this book. A year or so later, I finally have it! The second book she got me was Cloaked in Shadow by Ben Alderson. 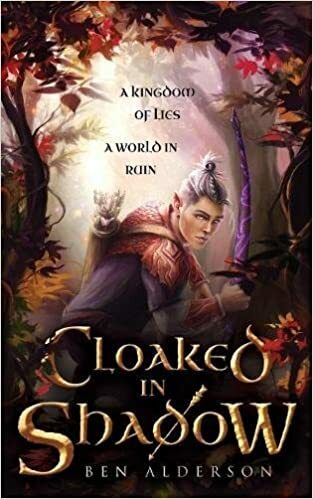 The only thing I really know about this book is that it is about gay fantasy elves and that's really all I need to know. Also, I've been watching Ben on YouTube for over three years now and I'm so happy to finally be able to read his books! 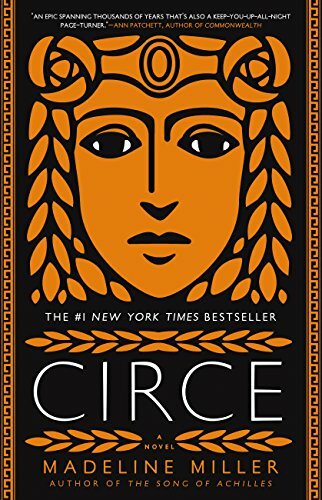 The third book my grandma got me was Circe by Madeline Miller. It's actually perfect timing since we just finished reading The Odyssey a couple weeks back in my Ancient and Medieval Lit class. I've heard nothing but amazing things about Madeline's books so I'm super excited that I now own both and can read them soon! Fourth, my grandma got me Unearthed by Amie Kaufman and Meagan Spooner. I've had this book on my wishlist since before it even came out, but unfortunately there were always books that I had to buy before this one so I didn't get around to getting a copy until now. 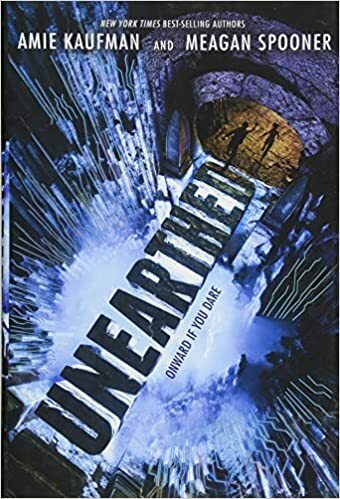 My basic understanding of this book is that it's pitched as The Maze Runner meets Indiana Jones in space. I'm so excited to have another book by Amie Kaufman and I've heard nothing but amazing things about this one. The last book she got me was The Poppy War by R.F. Kuang and I'm so excited to have this one in my hands! I've been wanting to read this book since before it even came out and words cannot express how excited I am to dive in. I actually read about 40 pages when I first got it but I wanted it to get the full attention it deserved and not be overshadowed by my Throne of Glass reread and schoolwork. Then, I bought myself 3 books, one of which was required for one of my classes but I thought was cool enough to show you guys. The first of these was Moonlight Sins by Jennifer L. Armentrout. This is one of Jennifer's adult romance books and I'm so excited to finally have a chance to read something like this from her. She's one of my favorite authors and I'm slowly trying to work through all of her books--no easy feat as she has published 50+. 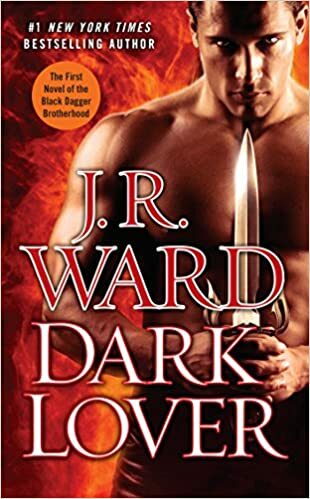 The second book I bought for myself in that order was a copy of Dark Lover by JR Ward. I've heard nothing but amazing things about this series and the hype around it has me super intrigued. It's an adult paranormal romance that I've actually been interested in reading for a while now but just finally was able to talk myself into getting a copy this month. I couldn't beat that $4 price tag! 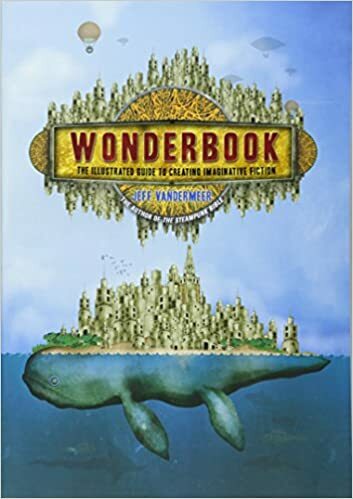 The textbook that I had to buy was Wonderbook by Jeff Vandermeer. It's funny because last semester I also had an anthology that was put together by Jeff Vandermeer as the required text in my last writing course. Anyway, this book is all about crafting fantastical worlds. The inside is full of illustrations and colorful charts and writing prompts. It's quite beautiful and by far my favorite book I've ever had to buy for class. 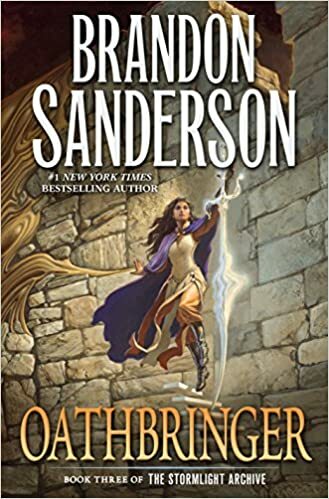 Then Barnes & Noble was having a sale or something and I picked up Oathbringer by Brandon Sanderson. I haven't read the first book in this series and I don't even own book 2, but when I saw that it was on sale for $8 when it's usually $35, I knew that I had to do it especially with free shipping from my membership. 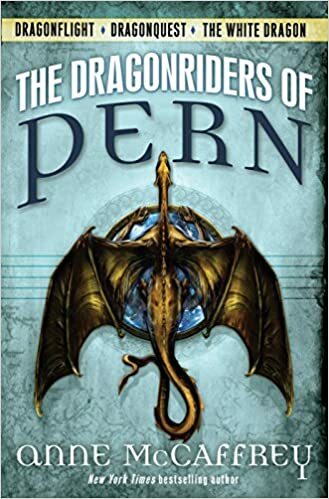 Next, I picked up the bind up of the first three books in the Dragonriders of Pern series by Anne McCaffrey. We read a short story set in this world and I absolutely wanted to know more and get more of this world and dragons. When I saw the bind up was priced reasonably, I decided to just take the plunge and pay $3 extra to get three books instead of one. 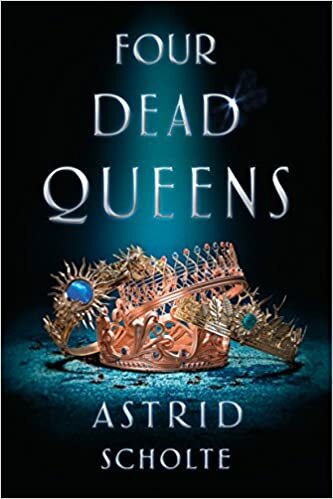 Then I was sent an arc of Four Dead Queens by Astrid Scholte. This releases in February and I'm so excited to have a copy. I've been interested in this book ever since people at BEA were showing off their hauls and I heard about this book. I. Cannot. Wait. to read this. It just sounds so fantastical and amazing and full of mystery. My local Barnes & Noble is moving locations so they're currently having a lot of sales, such as the white dot sale where you can get 50% off list price, and they had their beautiful classics all white-dotted (insert heart eyes here). I'd been wanting to get a copy of these two epics ever since we read them in class. However, we didn't read the entire Iliad, just whatever sections were included in our anthology so I never felt like I was getting the complete full story. Now I can go back and revisit the story when I feel the urge, although that won't be for a while! One of my most anticipated releases of this year came out in September and I was fortunate enough to snag a Barnes & Noble exclusive edition of Escaping from Houdini by Kerri Maniscalco. I loved the first book in this series and I'm so excited to binge these when I get the chance. It may be over winter break since I'm sure Thanksgiving break will be full of homework and seeing family. But anyway, I love how these books follow different mysteries and have an amazing way of sucking me in completely. Next, I picked up A Discovery of Witches by Deborah Harkness. This series was recently turned into a TV show and I knew that it was time for me to finally read it! I have no idea what this is about except for witches but I'm excited nonetheless. 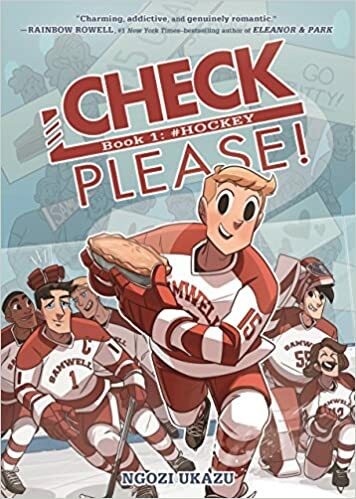 Then I snagged a copy of Check, Please! by Ngozi Ukazu...and promptly read it in one sitting. This graphic novel was so freaking cute and I love these characters. I can't wait for the next bind up to come out (or for me to finally cave and read it as a webcomic every week). It was just so damn cute. Then a book with an pretty beautiful cover came out from V.E. 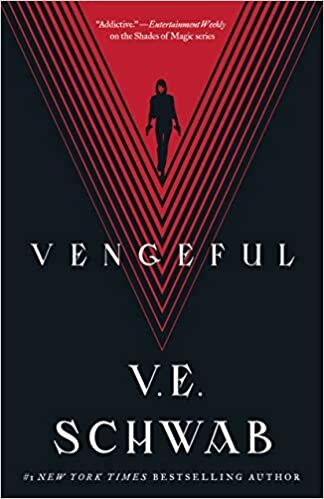 Schwab called Vengeful. I, again, snagged a signed Barnes & Noble exclusive of this because why not. I haven't read Vicious yet, but I think I'm going to try to convince one of my friends to do a binge buddy read with me. I've heard nothing but amazing things about these two, so hopefully I don't let the hype get to me! Either way, I'm still super excited to have this gorgeous book on my shelf! I got one ebook and one audiobook this month, neither of which I paid for so we'll call that a win! 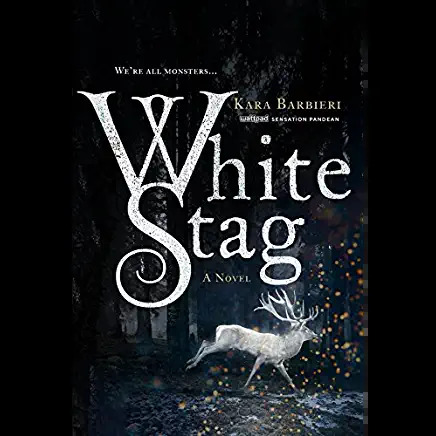 The ebook that I got was an arc of White Stag by Kara Barbieri from Netgalley. I'll be reading this very soon, probably after Six of Crows while I'm working through Queen of Shadows. I can't remember what it's about but it sounded like a super interesting fantasy that I'm excited to give a chance! 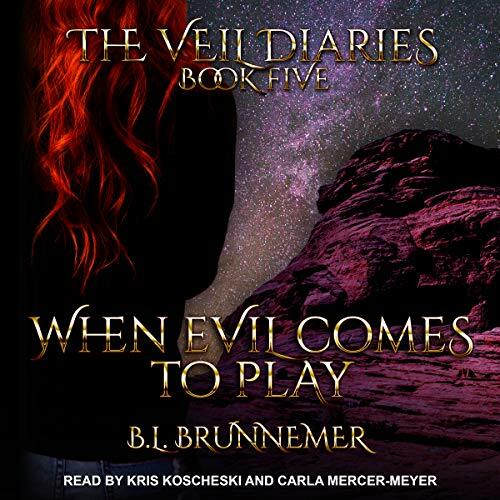 The audiobook I got was When Evil Comes to Play by B.L. Brunnemer. This is the fifth audiobook that has been published for this series and I'm so excited. I love these books so much and I'm beyond excited to be able to listen to this audiobook as well, so thank you Lexi! Follow my Instagram here. New giveaway will be posted very soon! Halloween Book Tag: 2018 Edition! Unboxing: Owlcrate's "Lost In a Bookstore"